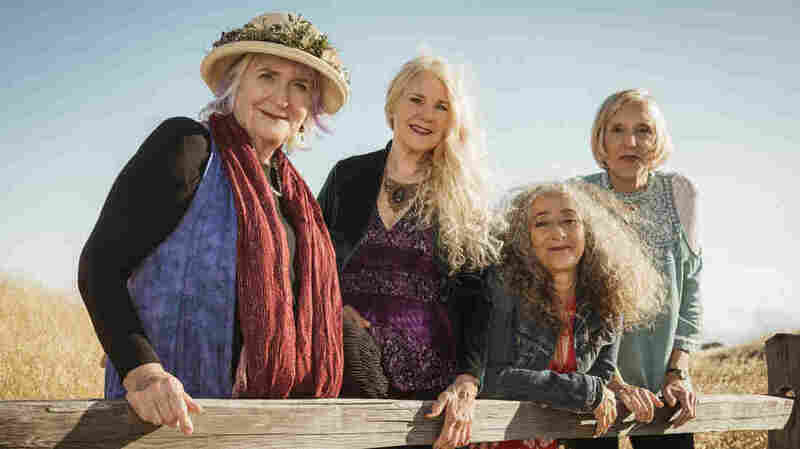 Ace Of Cups Gets A First Chance At An Overdue Debut An all-women rock band before Fanny or The Runaways, Ace of Cups shared the same San Francisco stages as Jefferson Airplane and the Grateful Dead, but never made an album — until now. Decades after their original run in 1960s San Francisco, the members of Ace of Cups have finally released their first album. Joel Selvin remembers the San Francisco music scene of the late 1960s as an especially fertile time for experimentation. "There was tremendous hunger and openness for musical influences," the music journalist and author says. "World Music, Indian music, rhythm and blues, jazz ... and that was all new in the world of popular music." At the time, Selvin says, one band stood out for its talent and its unusual lineup. Ace of Cups didn't just feature a powerhouse female vocalist in the mold of Janis Joplin, but five women who sang, played their own instruments and wrote their own music. "Ace of Cups played their instruments with the same kind of accomplishment that the male musicians did," he says. "They were on so many bills starting in the summer of '67, but they were a complete anomaly in the San Francisco hippie world." 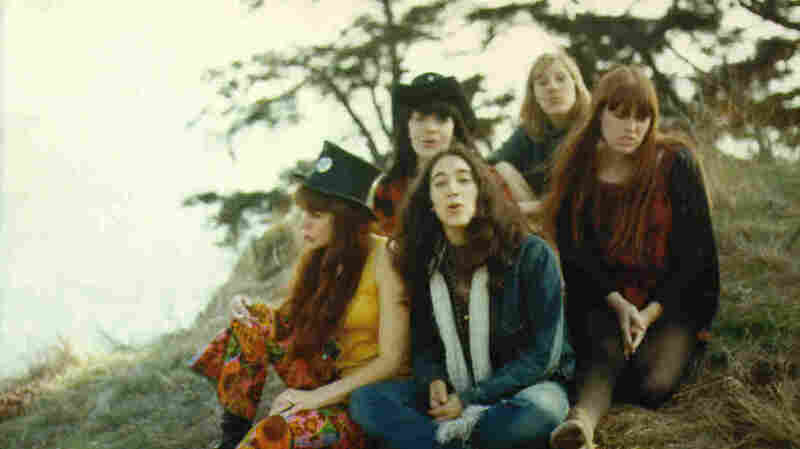 Mary Gannon, Marla Hunt, Denise Kaufman, Mary Ellen Simpson and Diane Vitalich met in the Haight-Ashbury district. They had all been in other bands, but Gannon, who plays bass, says they weren't always treated as equals. "I had been in a band called The Demon Lover and, like, I was supposed to be a backup singer and play the tambourine, Gannon says. "It was like it was 'the man band.' "
Gannon knew right away that Ace of Cups was going to be different. Ace of Cups during the band's original run, which lasted just a few years during the late 1960s and early '70s. "We approached songs differently," Gannon says. "I can remember the first day that Denise showed up and played a song. Like, she was already a songwriter. And I just think the fact that we were girls and she was a girl [meant] we weren't going to step on her music." The band informally recorded its rehearsals and shows. Ace of Cups built a considerable following in the 1960s playing high-profile venues in town, such as The Fillmore, the Avalon Ballroom and Winterland. Several labels expressed interest, but nothing ever happened. After a few years, Ace of Cups called it quits. The members certainly never expected to reach faraway fans. But they did. "Growing up in the late '70s and early '80s, I got fascinated with the San Francisco sound," says Alec Palao, an Englishman. "So I scoured every book I could find about Jefferson Airplane and The Great Society and Grateful Dead and, you know, I keep seeing this name mentioned, this all-women band that played under the name Ace of Cups." Palao eventually got his hands on a few bootleg tapes and he became smitten. "They had a sense of poetry," he recalls. When Palao became a scout for a UK-based reissue label, coincidentally called Ace Records, he collaborated with Ace of Cups to release the band's rehearsals and live recordings. Those recordings caught the ear of New Yorker George Wallace. "They were definitely unafraid to go into different directions and to have soul mixed with psychedelia mixed with a capella, often packed with, you know, really beautifully arranged harmony. And it was all live, too," Wallace says. When Wallace started his own reissue label, High Moon Records, in 2008, he reached out to Ace of Cups in search of more archival material. There wasn't any, but the band still played from time to time, so Wallace flew out to hear them. He offered them a chance to record a new album — a first for the band. "Because we never got to go into the studio ... he decided he wanted to give us that gift," guitarist Denise Kaufman says. Ace of Cups' self-titled debut, which came out in Nov. 2018, is a double album featuring four of the band's original members plus contributions from longtime friends including Buffy Sainte-Marie and the Grateful Dead's Bob Weir. And for Gannon, the debut album is a full-circle moment to where Ace of Cups began: "We just happened to be girls playing music, having fun."